Lower Your Premium with a COHHIO/CareWorksComp Group Rating Plan! If you are familiar with workers’ compensation in Ohio, you know that joining a group rating plan is one of the best ways to save money on your premiums. COHHIO would like to offer you that opportunity. As a member in good standing you are eligible to join COHHIO workers’ compensation group rating program. Joining not only has the potential of saving you the maximum amount allowable by the Bureau of Workers’ Compensation (BWC) – through our multiple savings tiers – it helps out COHHIO as well. By joining our group you will help keep COHHIO strong and the more employers who join a program, the more options there will be for all of us. I like being part of a program where everyone wins! Because all group rating plans are not created equally, we made sure to pick the right partner for our program. We selected CareWorksComp to be our plan administrator because they’ve spent more time managing workers’ compensation programs than any other TPA in Ohio, starting all the way back in 1946. But besides focusing on giving personalized attention to our members, they have a very vigorous claims management style. Best yet, their fees are more than reasonable. Taking all that into consideration, it’s no wonder more than 95% of the group membership returns year after year. Please take a moment to complete the temporary authorization form below. The evaluation is free and there is absolutely no obligation to join the group. You might just find that our group can save you a substantial amount on your premiums. Amber Hart is our dedicated group representatives at CareWorksComp. If you have any questions at all, she can help you. Amber can be reached at 614-932-1553 and her email is Amber.Hart@careworkscomp.com. BWC Safety and Health Services. Workers’ compensation premiums include the cost of BWC safety services… Read more HERE. CareWorksComp is proud to be endorsed as the preferred workers’ compensation Managed Care Organization (MCO) of the Coalition on Homelessness and Housing in Ohio. CareWorksComp is an active supporter of the Coalition on Homelessness and Housing in Ohio’s mission, programs and direction. CareWorksComp combines innovative solutions and integrated medical case management with personalized, hands-on return to work assistance adding greatly to our ability to minimize the severity of job related injuries and control workers’ compensation costs. 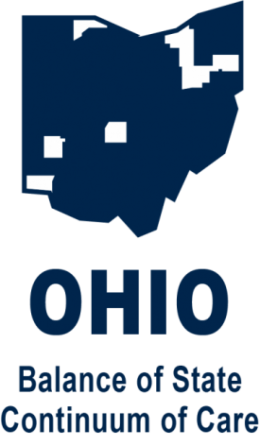 BWC recently teamed up with the Ohio Department of Aging and other Ohio government and state business partners for Steady U, a statewide collaborative aimed at preventing slips, trips and falls in older Ohioans. Why? Employees ages 45 and up are more likely to fall in the workplace than other workers. Work-related slips, trips and falls often result in sick days, reduced productivity and expensive workers’ compensation claims for the employer. The average BWC claim for lost time (taking time off) related to slips, trips and falls is more than $31,000. Ask employees to use step stools instead of standing on furniture.